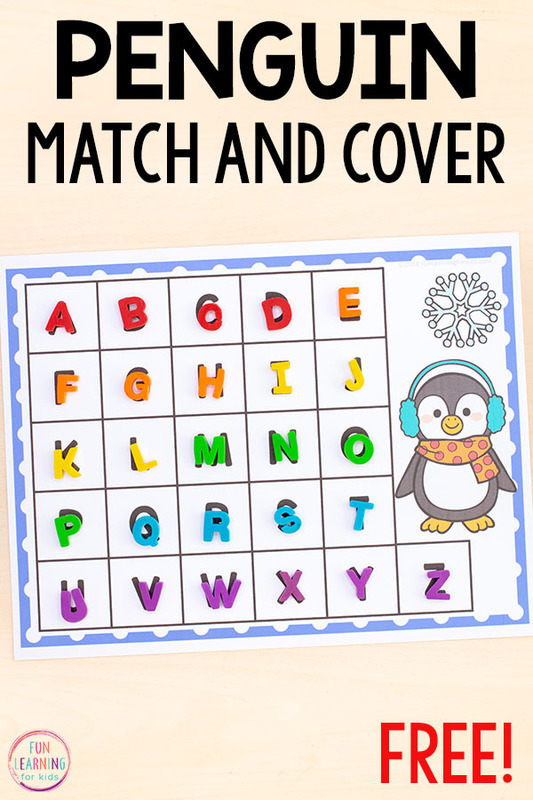 This penguin match and cover the alphabet activity is a fun, differentiated way to learn the alphabet and letter sounds this winter. 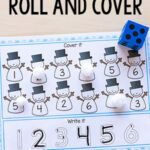 It would be an excellent addition to your alphabet or literacy centers. 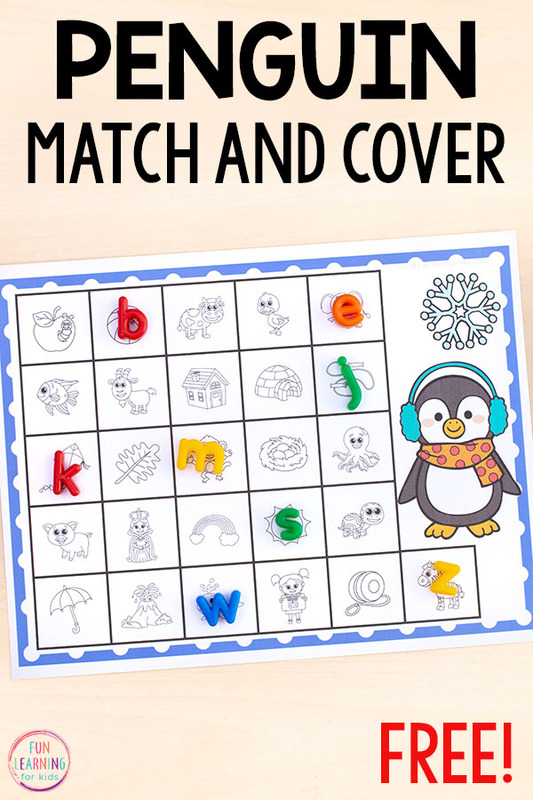 We are loving the penguin count and cover mats I made the other day, so I wanted to continue the winter fun with these penguin match and cover mats. 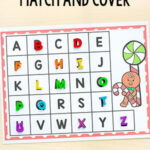 These mats help kids learn the alphabet and letter sounds. 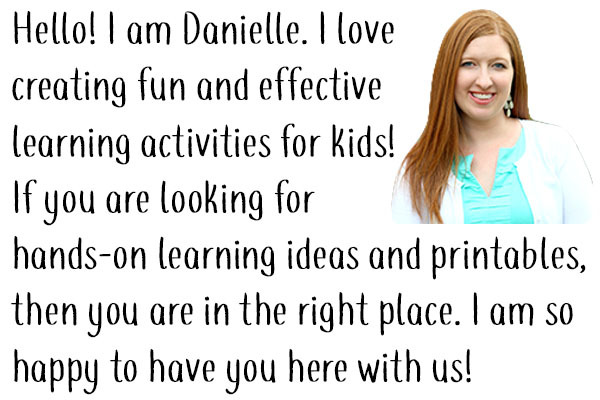 That makes them perfect for kids in preschool or kindergarten. My kindergartener is loving both versions. She loves exploring all of the different manipulatives on all of the different mats. And to guarantee you will love them just as much as your kids, I have made them so that they require no prep from you. Just print and play! Save even more time by sliding them into write and wipe pockets instead of laminating. Plus, they come in color and black and white, so even if you can’t print in colored ink these alphabet mats will work for you. 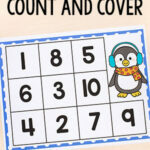 The best part about these penguin alphabet mats is that you can easily differentiate them for your students. 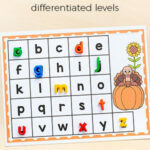 Students who are just learning to identify capital letters can use that specific mat. If they are learning lowercase letters they can use the lowercase letters mat. When my daughter uses this, I talk to her about the letter names and the sounds they make while she is matching them up. The mats simply open the door for exploring letters, their names and even their sounds. Another way to do this is to call out a sound and see if students can cover the letter that makes that sound on the mat. Or call out a word and have the students try to identify the letter at the beginning of the word. I even have some beginning sound discs that came with the Alphabet Island board game. These work perfectly on the mat! On another note, this board game is also amazing. My daughter wants to play it again and again. So it is well worth the cost. You could also cut out the square picture tiles on the letter sounds mat and the kids could match them up to one of the letter mats. 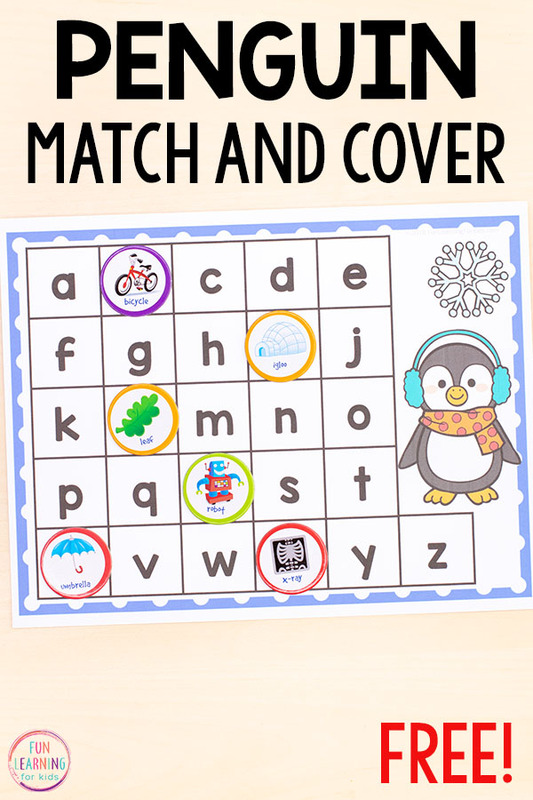 If you want your students to practice matching lowercase to uppercase letters, you can do that too. 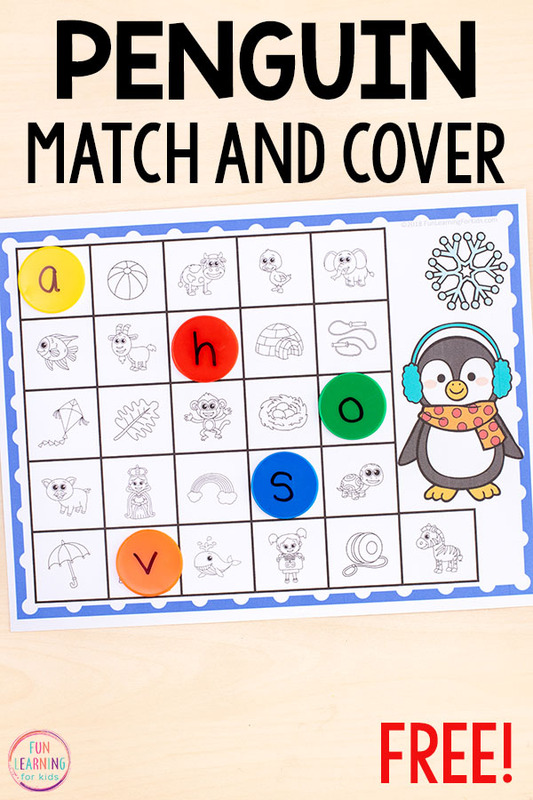 Students can match lowercase letter beads to the uppercase mat or uppercase letters to the lowercase mat. 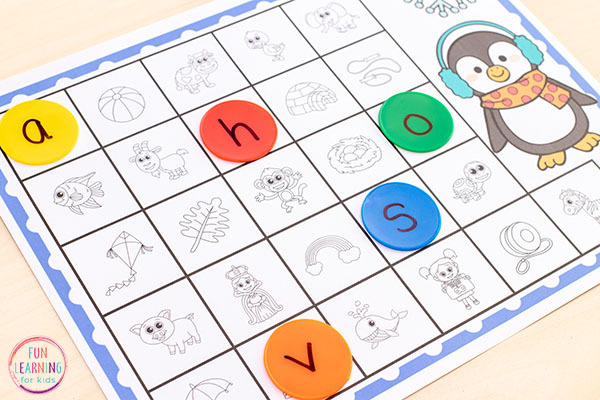 Students who are beyond learning letter identification can begin using the beginning sounds mat. 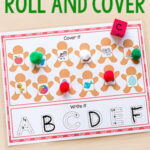 They will look at a picture on the mat, figure out what letter sound is at the beginning of that word, find the corresponding letter bead or mini eraser and cover the space with it. 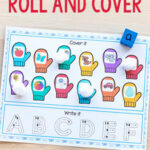 If you don’t have letter beads or alphabet erasers, no problem! I wrote letters on these circle counters and we used them too. You can also use foam letter tiles that can often be found at the dollar store. The possibilities are endless! Just put the mats inside write and wipe pockets for durability and they are ready to go. These are going to save you so much time! I hope your kids enjoy them! Here are some more penguin activities to check out! And a few winter activities too!